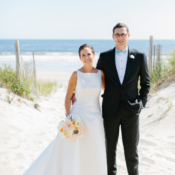 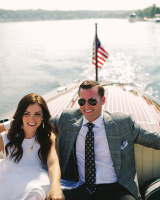 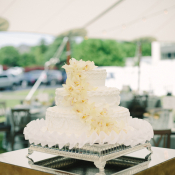 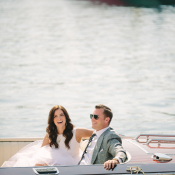 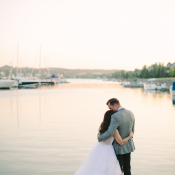 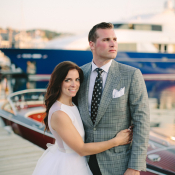 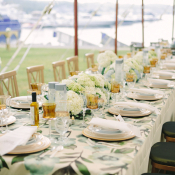 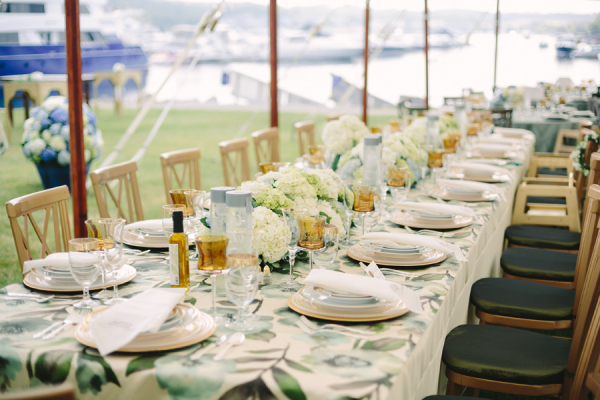 Julie and Duke’s wedding evokes the spirit and nostalgia of the 1960s—from Julie’s vintage Priscilla of Boston of gown (her mother’s) and cascade bouquet to the classic waterfront setting and Duke’s impeccable style. 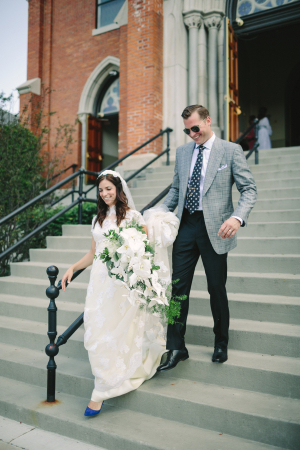 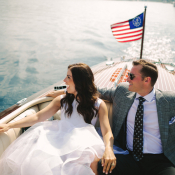 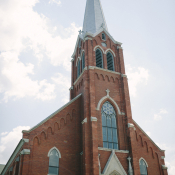 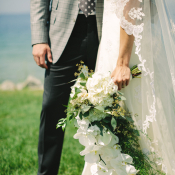 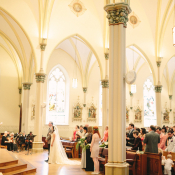 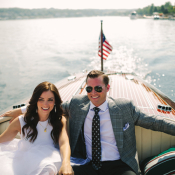 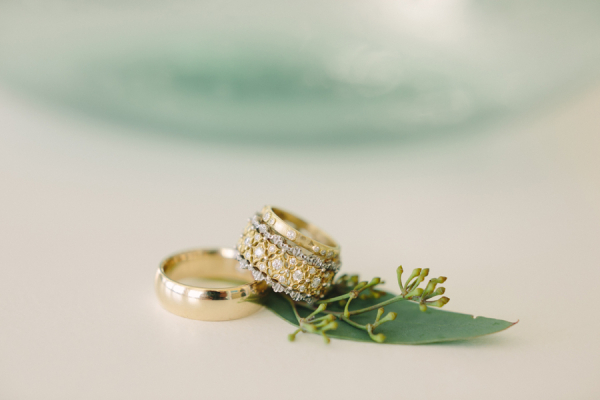 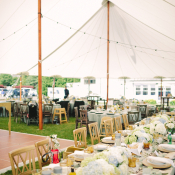 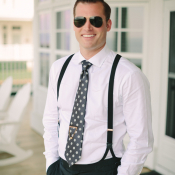 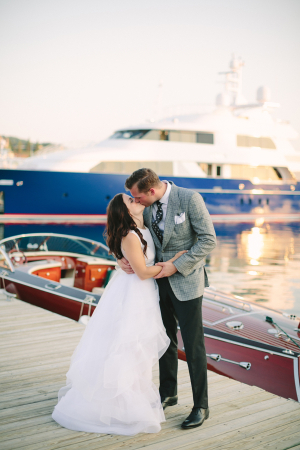 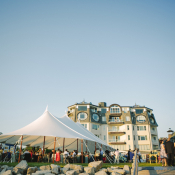 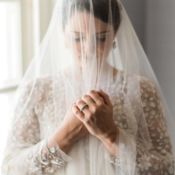 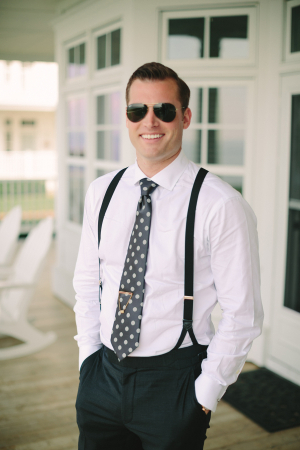 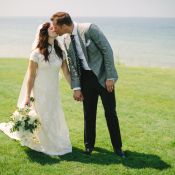 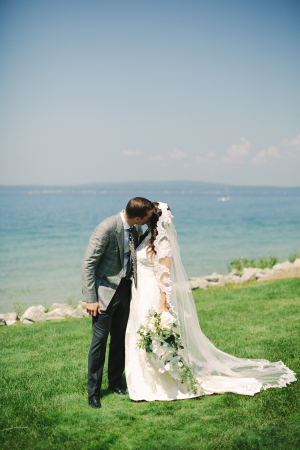 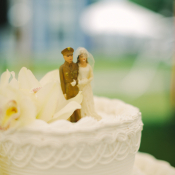 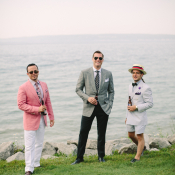 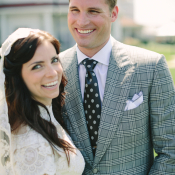 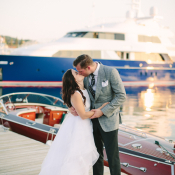 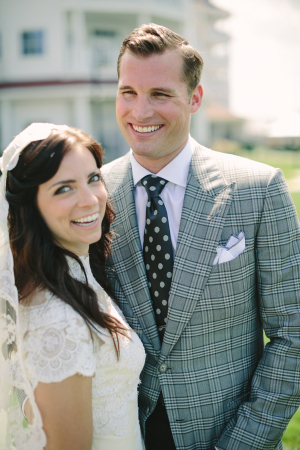 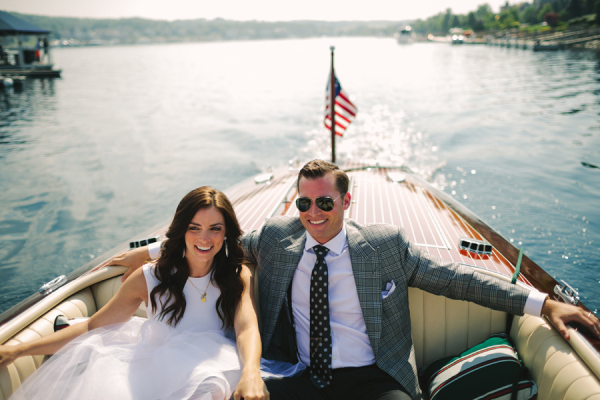 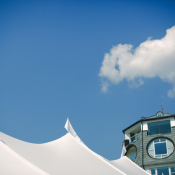 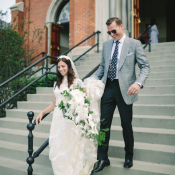 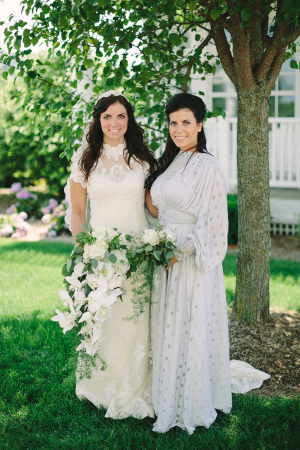 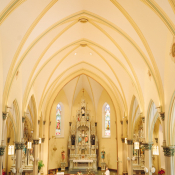 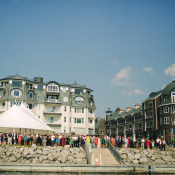 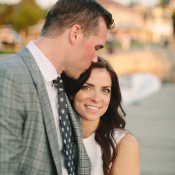 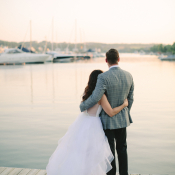 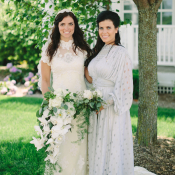 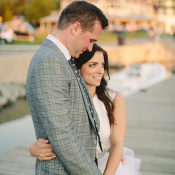 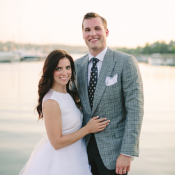 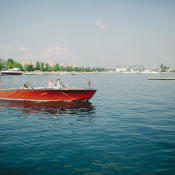 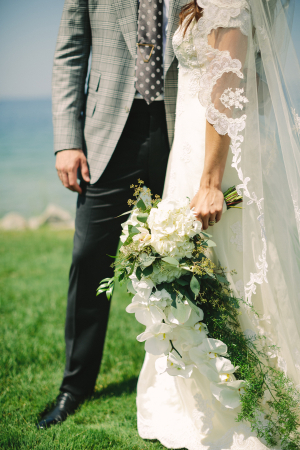 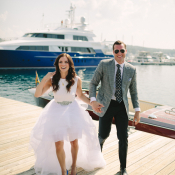 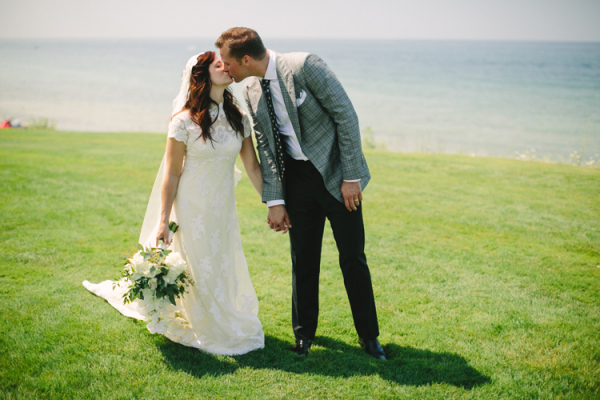 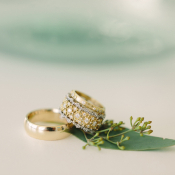 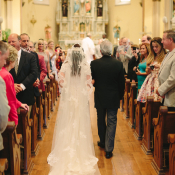 After a ceremony at Petoskey, Michigan’s St. Francis Xavier, the couple was delivered to their Bay Harbor Village Hotel reception in a vintage wooden boat, and guests danced the night away under a gorgeous tent made of sail cloth. 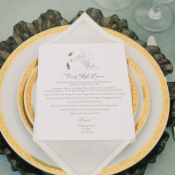 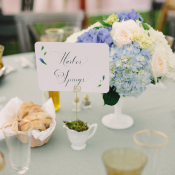 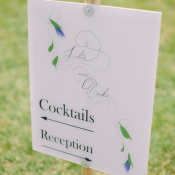 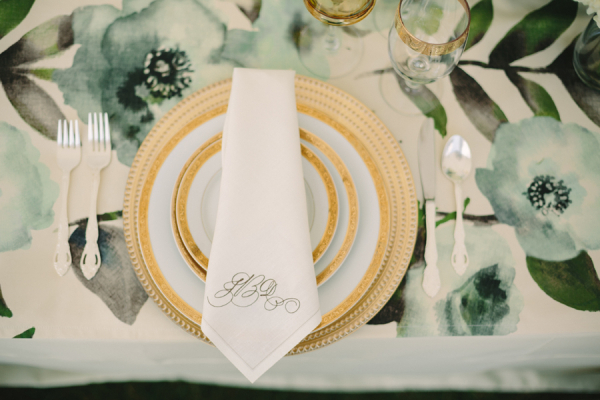 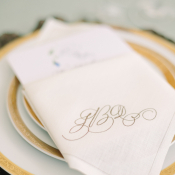 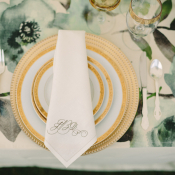 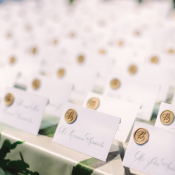 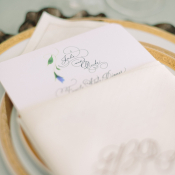 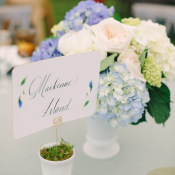 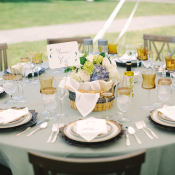 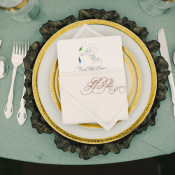 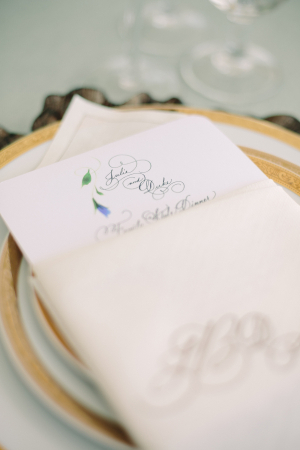 The classic reception featured floral linens, monogrammed napkins, and lovely florals by Monarch Garden and Floral. 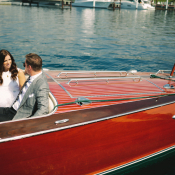 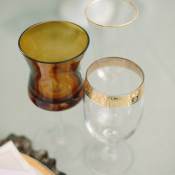 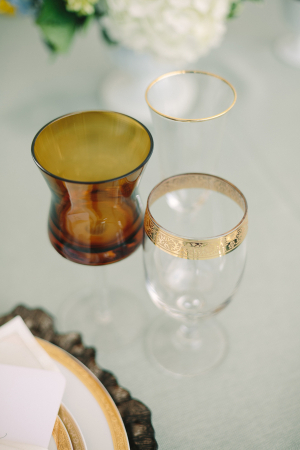 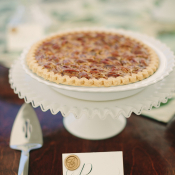 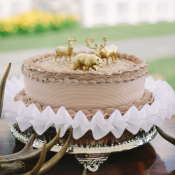 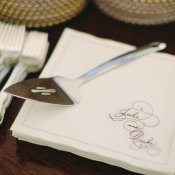 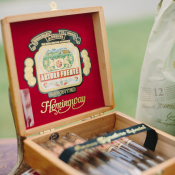 We are absolutely smitten with each and every detail—it’s like we have been transported to the era of the Kennedys!